On any given night, more than 800 people are homeless in the River Region. Your donation today will assist in breaking the cycle of homelessness and accessing a safe place to sleep for an individual or family in our area. The Mid-Alabama Coalition for the Homeless needs your support to end homelessness in the River Region. Your donation of any amount is greatly appreciated. Donate online using the link below or contact us at (334) 261-6182 for other donation options. Sponsorship options for businesses and organizations are also available. 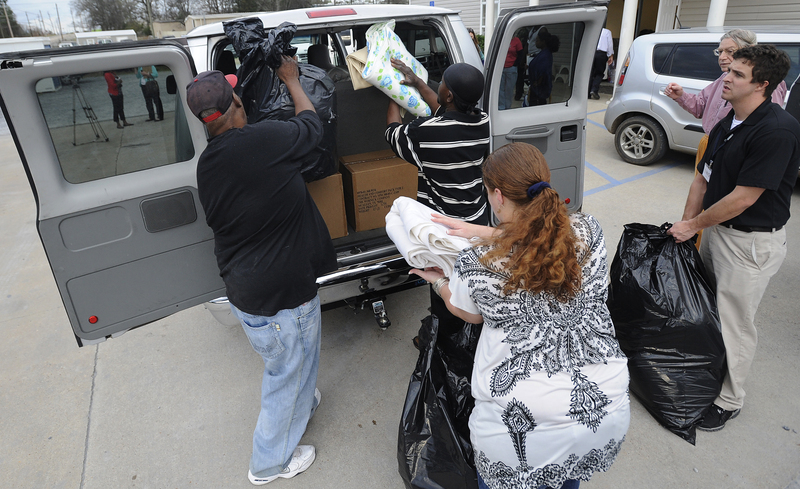 Inkind donations of blankets, clothing, and hygiene items are always helpful. We can work with you to plan a drive at your business, church, or community group. Let us know how you would like to help. MACH is a 501c3, non-profit organization, and all donations made to MACH are tax deductible to the fullest extent allowed by tax laws.